See Part 2: Why it’s a horrible time for comic books here. When I was younger, reading comic books was not as easy and accepted as it is today. I remember in high school working as a librarian’s assistant just to have my lunches in quiet so I could read comic books. No one came to the library, especially not during lunch. Characters I loved, like Booster Gold or Hellboy weren’t known to the general masses. For those few people that I told of my love for comic books, they often replied “Oh! Do they still make those?” Comic books were perceived as being for children, so their representation outside of the of the four-colored paneled page were childish. Sure Christopher Reeve had made me believe a man could fly and Michael Keaton showed me how to dance with the devil, but Superfriends had turned Darkseid into a jilted lover pining for Wonder Woman’s hand in marriage only to be thwarted every Saturday morning by the Justice League. Teenage Mutant Ninja Turtles were changed from gritty, violent eyeless comic book characters to a kid-friendly cartoon show and movie series filled with catch phrases that are almost unwatchable today. We are living in a new Golden Age of comic books and in a weird meta kind of way, for the first time in history, we are aware of what a great time it is to be a comic book nerd. Comic book imagery is everywhere. 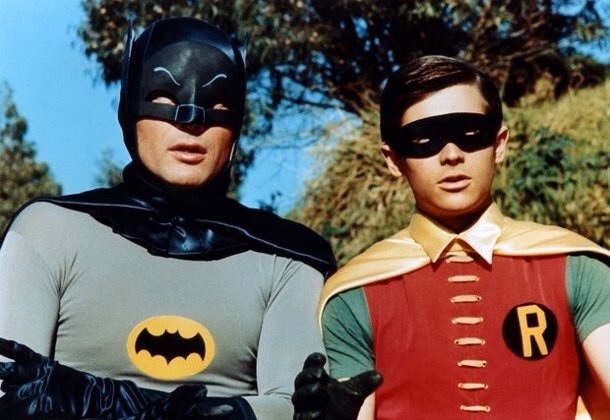 We’ve gone from Adam West’s campy Batman and George Reeves thrilling adventures as Superman to nearly every channel having something comic book related on or about to start airing (Except you CBS!). Smallville ran for ten seasons. Arrow is about to start its third and The Flash spinning out of it this fall. Gotham and Constantine are two shows I’m looking forward to seeing. The Marvel Cinematic Universe has translated to the small screen with Agents of SHIELD and even Netflix and the Playstation Network are getting into the game with more Marvel shows like Daredevil, Luke Cage and Powers all being adapted to the small screen. Movies have become more plentiful as well. The high school reject that stayed up all night reading Watchmen never thought he’d see an almost panel for panel shot of the comic on the big screen. The MCU is almost done with its “Phase Two” round of movies, the next being an adaptation of Guardians of the Galaxy. You couldn’t have told me twenty years ago there would be a Guardians of the Galaxy movie, and that I would be excited to see it. My childhood nerd dreams are coming true and there’s more to come, like Sin City 2, actually directed by Frank Miller, even Batman vs Superman is coming, leading into a Justice League movie. Characters like Blade and Hellboy are enjoying new popularity with some people not even realizing that they’re based on a comic books. The direct-to-DVD market has given publishers a chance to make new and existing stories into full length animated features. 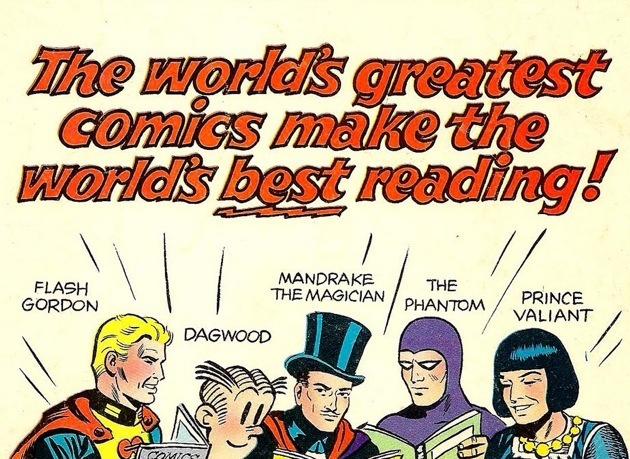 Thanks to technology, it’s easier than ever to read comic books and graphic novels. Digital comics, new and old, put comic books in more people hands. Digital comics have proven so popular, a lot of titles are digital first. Publishing digitally has leveled the playing field so that almost anyone can publish a comic book and Kickstarter has helped several people self-publish their own work. The internet has put comic book knowledge at our fingertips. New ways to animate have given us motion comics so we don’t have to actually turn the page to read a comic. Social media has helped creators publicize their projects, and made them more accesable to the fanboys (and now girls) more than ever. 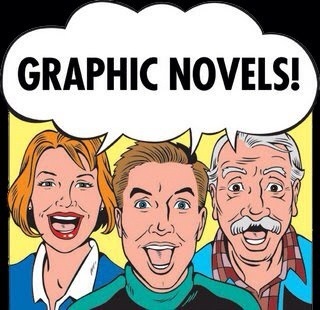 The advent of the graphic novel, and even the word being added to the American lexicon, has made it easier for non-comic book readers to enjoy some of the greatest stories of all time in one book, in one sitting. No longer do we have to search for all fifty-five issue of Bone, when you can have it in one big gigantic book. Now that more people are reading comic books, they realize they aren’t just the childish superhero stories of the Silver Age; comic books have grown up, even if a lot of us long-time readers haven’t. In high school, I read my copy of The Dark Knight Returns by flashlight under my covers when I should’ve been in bed sleeping. Now I can take it out and read it in public. Merchandizing has grown in leaps and bounds as well. I used to have two Superman shirts, so that when one shirt was worn ragged, I would wear it to sleep in and replace it with a brand new one. This had to be coordinated very carefully because not all comic shops sold apparel. I was forced to special order one, or hope my Dad would take me to Six Flags that year so I could get one. At my local WalMart, I can buy a Superman, Batman, Captain America, Venom, or Deadpool t-shirts just to name a few. I know because I have them all, including a Superman hoodie and earrings to match my shirt. There were only a few comic book movies or TV shows, so there were also less action figures. Now, toy aisles are filled with superheroes. There is a local HHR in my town that I see often. It is decked in bumper stickers that say “Don’t Blink” or “My other car is a TARDIS.” Yes, the car looks ridiculous, but for the first time ever more people under the age of forty not only know who Doctor Who is, but what channel it comes on. Comic books and fantasy/sci-fi has become mainstream for the first time ever. Superhero stuff is cooler than ever and now when I go to a library, they actually have comic books on the shelves. For comic book nerds like me, it is the best of times…and the worst.